A deal for Greece – at what cost? And so the Eurozone leaders and the Greeks have hammered out a deal for a third Greek bailout at an all-night meeting. Greek prime minister, Mr Tsipras, has bowed to pressure to pass tough reform laws, including on tax and pensions, by Wednesday and prepare further rapid reforms this month. Tsipras finally accepted a compromise on German-led demands for the sequestration of Greek state assets to be sold off to pay down debt. The terms of the agreement were not immediately known. The Greek leader also dropped resistance to a full role for the International Monetary Fund in a proposed 86 billion euro ($95.78 billion) bailout, which German Chancellor Angela Merkel has declared essential to win parliamentary backing in Berlin. 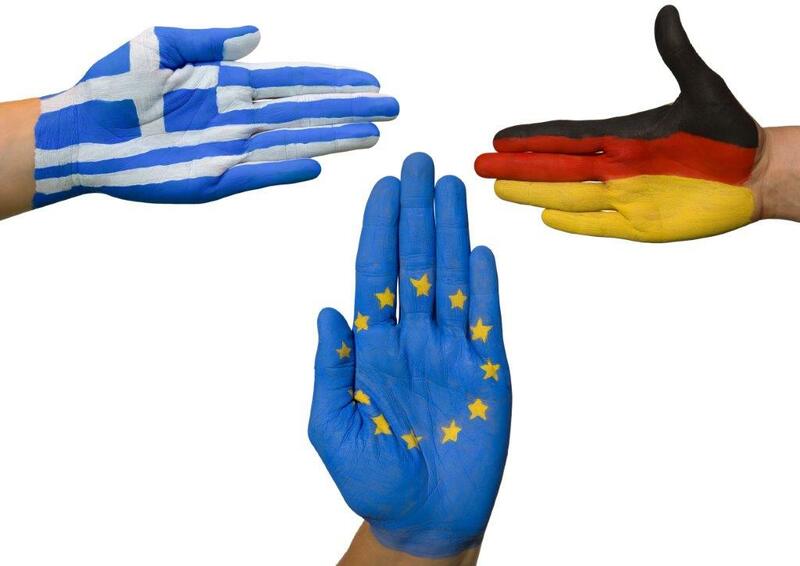 As the Financial Times put it, Germany had piled the pressure on Greece to implement bold reforms and accept a high level of external economic supervision in return for a rescue. Luxembourg meanwhile warned Germany that pressing for a Grexit would bring “a profound conflict” with France and “catastrophe for Europe”. Jean Asselborn, foreign minister, told the Süddeutsche newspaper that it would be “fatal for Germany’s reputation in the EU and the world” if Berlin did not seize the chance offered by the Greek reform promises. But the question is what impact will this have on Greece when more than 60 per cent of the population voted against austerity. ekathimerini.com reports that Tsipras will struggle to convince his own Syriza party to accept the deal and Labor Minister Panos Skourletis has declared that the terms are unviable and would lead to new elections this year. Bloomberg reports that the fury on the streets in Athens is palpable. The reaction on social media has seen #ThisIsACoup” becoming the most-trending Twitter hashtag in both Greece and Germany. This entry was posted on July 13, 2015 at 9:15 am and is filed under Uncategorized. You can follow any responses to this entry through the RSS 2.0 feed. You can leave a response, or trackback from your own site.